Many of us dream of achieving great things in life, of seeing our fondest hopes and wishes come true, but often, of simply making it through the various storms of adversity that sometimes blow in our direction. And there are still many places in our world where people dream of just being free: to live, unhindered, according to their customs; and to worship, without persecution, in the way they choose. History is filled with accounts of men and women who longed for civil and religious freedoms. One such piece of history dates back to the second century B.C., and is distinguished by a miraculous event that took place in Ancient Judea. It occurred in 164 B.C., when God fulfilled a long-held dream of the Jewish people: of reclaiming their Holy Temple in Jerusalem, and of once again being able to worship their Lord in peace. The Jews had lost their religious freedom when Judea came under the control of Antiochus III, the King of Syria, whose Seleucid Empire then encompassed all the Middle Eastern provinces. Antiochus was both vicious and intolerant of anything he felt hindered his own personal agenda, the social “modernization” of the world. Antiochus planned to accomplish his goals by imposing the Greek culture and religion upon all his subjects, and in the process, to systematically destroy Judaism. 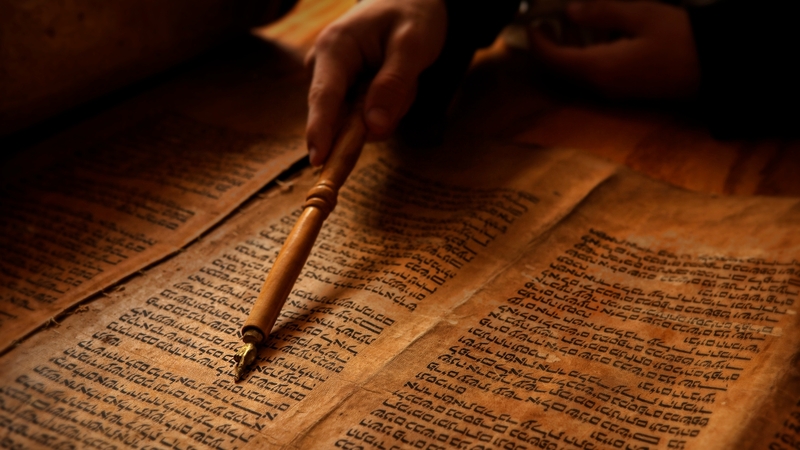 Antiochus ordered every known copy of the Torah, the Holy Word of God, to be burned. Anyone found in possession of the Scriptures — or observing the Sabbath, or honoring the God of Abraham, Isaac and Israel in any way — was put to death. And as evidence of his thoroughness and the extent of his cruelty, whenever Antiochus learned of a woman who’d had her child circumcised in accordance with her Jewish faith, he’d have the mother and ALL of her children put to death! But even these atrocities didn’t appease Antiochus. He ordered that the Temple in Jerusalem, the nexus of the Jewish faith, be desecrated. This he accomplished by sending Syrian soldiers into the Temple to sacrifice pigs and other ritualistically-unclean animals upon the alter of God. Afterwards, a statue of the Greek god Jupiter was placed in the “heart” of the Temple, the Holy of Holies. Despite religious persecution to the point of death, despite the defilement of their most sacred place, the “home” of their God, the Jews kept their faith. But historians believe that, had Antiochus succeeded in his agenda to wipe out Judaism, he would have transformed the face of modern civilization into something totally unrecognizable today; had Judaism been eradicated, Christianity and Islam never would have come into existence. God’s people, however, had rebelled against the Syrians beginning in 167 B.C. What followed were three desperate years of guerrilla warfare waged by a Jewish resistance group under the leadership of an elderly priest and his sons, the Maccabees. The resistance fighters eventually became such a thorn in the side of the empire that the Syrian government ultimately sued for peace! The Jews regained their religious freedom and the control of their Temple, now defiled and in ruins. Following several days of mourning, the Jews started the work necessary to repair and restore the Temple. Once the work was completed, the Temple needed to be ceremonially cleansed and rededicated. Crowds of Jewish worshippers flooded into Jerusalem to celebrate the rededication, bringing sacrifices to honor God. There was just one problem: the Temple menorah, a lamp stand with six branches and seven flames, had to be kept lit, but there was only enough oil to keep the wicks burnings for a single day. The Jews had dreamed of worshipping in the Temple for years, but only a single sealed cruse of consecrated olive oil was available; the seals on the other cruses had been broken by the Syrians and the oiled “contaminated”! So what happened? Nothing short of a miracle: God multiplied the oil in that tiny cruse, which was used to replenished the menorah and kept the flames burning for eight days! Why eight days? Because that was how much time the Jews needed to prepare and purify additional oil. Each year since, to commemorate God’s fulfillment of their dream to see the Temple restored, as well as His miraculous provision demonstrated by those eight days of illumination, the Jewish people celebrate the holiday known as Chanukah, the Festival of Lights! 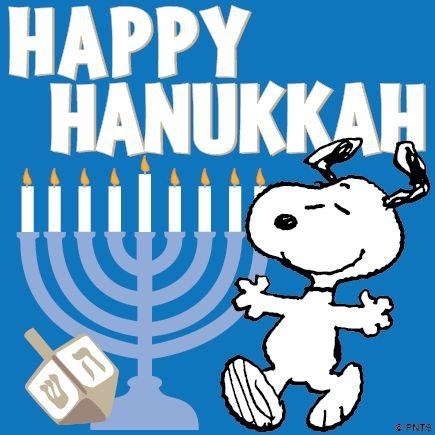 They light a special menorah with eight branches and nine wicks — the ninth wick (elevated at the center) represents God — and pray and eat delicious oil-based foods. In the U.S. and other countries where Christmas is celebrated, Hanukkah is often an occasion to exchange gifts and play traditional games, too. Hence, Jewish children enjoy Yule-time festivities similar to those experienced by families observing the Christian holiday. Previous Previous post: Encouragement for Creators: And To Think (How) It Happened…. Next Next post: What’s Cookin’ this Christmas?